at their job, not training, hence my focus on this subject over the past several weeks. As previously discussed, successful skills management ultimately results in: Confirmation that a company’s staff has the skills to meet current business needs; Comprehensive and real-time insight of the organization’s capabilities to enable informed strategic decision making; and Proof that the organization complies with regulatory requirements to avoid penalties and other undesirable results. Today I’ll review the GyrusAim features that companies can utilize to realize these benefits by successfully managing skills in their organization. Skill-Centricity - The GyrusAim LMS is built around a skill-centric core, from which all other skill-centric features are derived. If an LMS does is not designed for skill-centricity from its genesis, it’s challenging to change it after-the-fact. 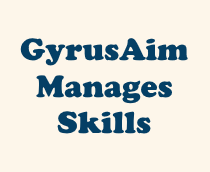 Skill associations – Also essential for skill-management is GyrusAim’s ability to link skill requirements and people to organizations, jobs, and certifications, which enables Individual Development Plans (IDPs), Skill Gap Analysis, Enrollment of personnel in classes, and more. Individual Development Plans (IDPs) – A single location where personnel review their skill requirements based on organization, job, certification, or directly assigned skills. Skills recommended by managers are also displayed here. From this single screen learners find details about instructor-led training and can enroll in it, launch eLearning, sign-up for Webinars, download training documents, and take assessments. It is the best single location where students manage their progress in obtaining company required skills. Course Catalog – A list of all training offered by the company, searchable by skill, type of training and other criteria. Allows learners to easily find training to fulfill skill requirements. Skill Gap Analysis – Shows the delta between a learner’s existing skillset and the skill requirements for other organizations, jobs, and certifications. Allows learner’s to sign up for training for needed skills to enable them to become qualified for other positions or departments within the company. Skill Transcript – Shows skill acquisition progress by learner. Allows them to easily view their completed skills, when they were acquired, when (or if) they expire, notes, and other information. My Profile Summary Screen – Shows all relevant skill-based training statistics for student on a single interactive screen. Data provided: IDP Summary (# of skills obtained, # of skills required), Course Catalog and Training Event counts, Skill & Training Transcripts that show all historical training activity, Self-Reported training statuses (Enrolled, Pending Approval, Denied), Current Enrollments, Certification Statuses (Certified, Pending Approval, Attempting, Expired), Assessment Statuses (Completed, Partially Completed, Uncompleted), and Evaluation Statuses (Completed and Uncompleted). Manage My People – Where managers go to review and update all aspects of their learner’s skill development. Shown are a list of manager’s employees selectable by organization that shows learner skill requirements by organization, job, and certification. Access to pending approvals, exhibited assessments, transcripts, IDPs is also provided as well as the ability to send users a list of their required skills via eMail. These features all leverage the skill-centric nature of GyrusAim and provide real advantages to companies that don’t use a skill-centric LMS. 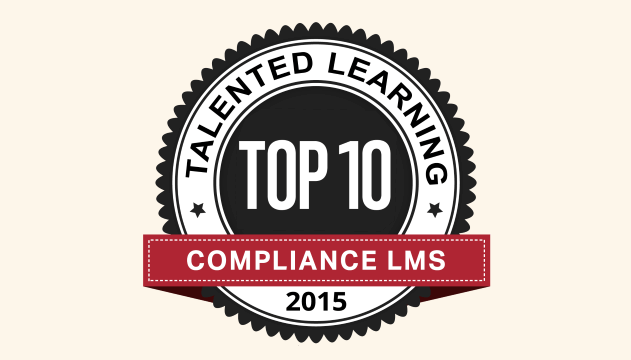 If in the market for an LMS these advantages should be highly considered.